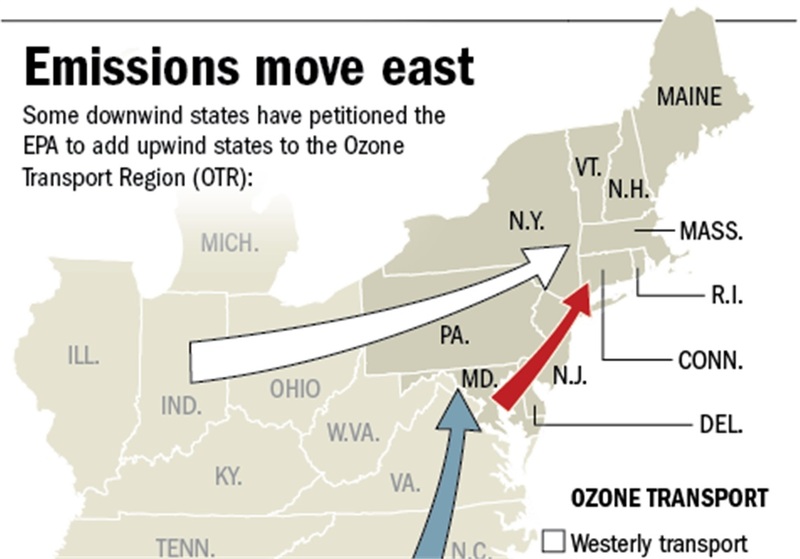 Northeast states sue EPA over air pollution from Midwest. On December 26, 2017 eight northeastern states sued the U.S. Environmental Protection Agency to force it to impose more stringent controls on a group of mostly Midwestern states whose air pollution they claim is being blown in their direction, according to Reuters report. In the latest development of a legal saga that began during Barack Obama’s presidency, the lawsuit by New York and seven other states challenges a Trump administration decision to allow nine upwind states to escape tighter smog pollution controls. “Millions of New Yorkers are breathing unhealthy air as smog pollution continues to pour in from other states,” said New York Attorney General Eric Schneiderman, who led the coalition of states that filed the lawsuit dated Friday. 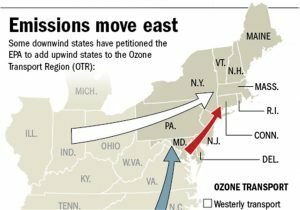 The coalition urged the U.S. Court of Appeals for the District of Columbia to overturn the EPA’s decision not to add the nine upwind states to the congressionally created “Ozone Transport Region,” which requires stricter pollution controls. An EPA spokeswoman declined to comment. Northeast and mid-Atlantic states have long contended that emissions from coal-fired power plants and other air pollution in the Midwest is carried eastward by prevailing air currents. In a statement, Scheiderman said the EPA was empowered to add states to the “Ozone Transport Region” if the EPA has reason to believe that their air pollution significantly causes states already in the region to exceed federal pollution standards. That case resulted in a consent decree that forced the EPA to decide by the end of October 2017 whether to add Illinois, Indiana, Kentucky, Michigan, North Carolina, Ohio, Tennessee, Virginia and West Virginia to the region. EPA chief Scott Pruitt declined to add the states. Scheiderman said the EPA’s own studies show that pollution from upwind states substantially adds to harmful levels of smog in New York, and cited an American Lung Association report showing that the New York City area ranks as the nation’s ninth most smog-polluted city. Eight northeastern states sued EPA to force it to impose more stringent controls on a group of mostly Midwestern states whose air pollution they claim is being blown in their direction. Contact MIRATECH to learn more about stationary gas and diesel engine emissions solutions.